The drive towards value-based care necessitates a comprehensive view of every patient. When it comes to this patient ‘puzzle’ we are just starting to put the pieces together, but the view in most EHRs does not support this data requirements change. Important information remains buried in unstructured text and specialist reports from radiology, pathology and outside resources - not easily allowing a true 360-degree of the patient. Fortunately, we are starting to realize that if a clinician writes a note within the EHR, chances are, there is a reason for its presence. By utilizing technology such as natural language processing (NLP), we can obtain pieces of the patient puzzle otherwise lost within the clinical notes, or attached as outside resources. Here are seven examples. Which pieces are vital to put the patient puzzle together? Well, that depends on the puzzle! To visualize a puzzle, you need the most vital pieces in place. Factors such as determinants of health (medical care, physical environment, social circumstances, individual behavior, genetics and biology) are known to be key for the 360- degree view. Many of us are hoping 2018 will be the year this concept is widely adopted. Luckily the discussion has already started - social determinants of health (part of the bigger picture) were a major topic of interest in 2017. Medical care is an umbrella term that contains many factors (problem list, medications) and remains a vital component in the determinants of health. 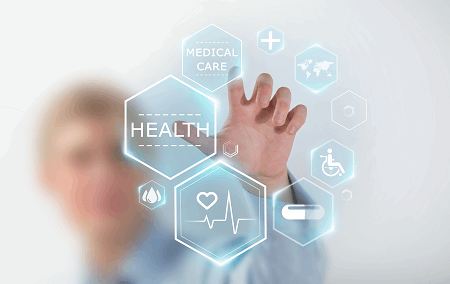 Many of these factors fall within structured data (approximately 30 percent of EHR data). Structured data is used to obtain vital information for pertinent administrative factors that allow a hospital to operationally run. This is the framework used for medical care. However essential information is still commonly captured in text form. For instance, the reason a patient can’t attend his/her appointments or obtain their medications (healthcare access) and clues about health literacy are often written within clinician notes. You either need NLP or hours of manual abstraction to make use of this information. Let’s talk about those other pieces...where do we find those? For the best clinical care, we need to factor these pieces into the 360-degree view. Where can they be found? Within clinical notes of course! The clinicians remain our champions to carefully document issues involving physical environment, social circumstances, and individual behavior that may be pertinent in an individual's medical condition. How could we say that one’s ambulatory status, living situation, and social support won’t be vital components if the patient is, or is not, readmitted after a procedure? How well can someone recover left alone in a house and struggling to get to the bathroom? How can we say employment isn’t a factor in one’s health? There are jobs that entail exposure to known toxins, even ones labelled potentially dangerous, and still others that require sitting at a desk for 40+ hours - which has its own medical hazards. This isn’t one of those predestined puzzles... is it? The impact of nature vs. nurture has been discussed since the late 1600’s and the debate started even earlier. Let’s simplify the concept as a poker game. You can’t do anything about the cards you got dealt (genetics and biology), but you do have a say in how you play your hand (your individual behavior). If you have a family history of lung cancer, chances are the cards are stacked against you and that habit of smoking three packs a day is not going to help you win that game. It will only increase your odds of losing in the form of a positive pulmonary nodule, definitive for lung cancer, found on a radiological report. Most of that important information is hidden within clinician notes, so it’s important to have an IT workflow using NLP to prevent a missed follow-up due to human error. More often than not, clinicians document information of concern to a patient's health. Naturally, there will be much more information (data) about an obese patient living on fast food, smoking three packs a day, drinking a six-pack each night, and under an enormous amount of stress due to relationship/work problems. We need to find and address these clinical data red-flags. Yes, your attitude does make a difference. Thoughts and perceptions affect your health - there is indeed a mind-body connection. We might not all have the mind body control of Wim Hof, but most of us know now that deep breathing, peaceful thoughts and mindfulness can bring blood pressure down. Mental health is an important factor in your overall well-being, and those vital early warning signs aren’t coded. An actual mental health diagnosis takes time to declare, and some even have a time frame built within the criteria themselves. Capturing those early warning signs can make a major difference in outcomes. An NLP-backed workflow could help assign a patient specific coaching or therapy sessions. Without a technology safety net there is a higher chance this will be missed - possibly resulting in a negative outcome that could be a major event that involves harm to the patient or even others. The exciting pieces are still being found! No it isn’t a treasure hidden under the couch by your beloved pet. Medicine and what we know about genetics and biology is continually evolving. The importance of precision medicine is coming to the forefront. Mary-Claire King started her work on the BRCA gene back in the 1970’s. At the time the concept seemed crazy - now we know her work was nothing short of groundbreaking. What’s this crazy 360-degree picture going to look like anyway? We need to complete this 360 view and form the complete patient puzzle. NLP and other exciting artificial intelligence (AI) technologies can help us find and use the treasure trove of documented information in textural form. Let our clinicians be clinicians and document the way they were taught, and still get the important insights currently lost within the EHR. We are still learning to put this puzzle together- and its way more complicated than 5,000 pieces. Elizabeth “Liz” Marshall, MD, is Director of Clinical Analytics at Linguamatics.